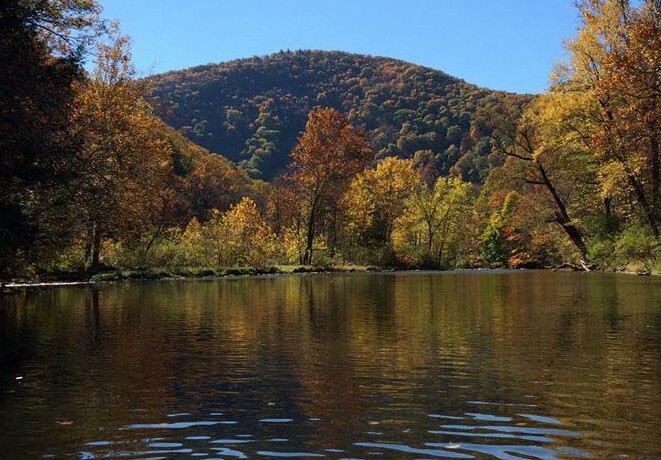 Originating from limestone springs, the Little Juniata meanders quietly through some of Pennsylvania’s most beautiful farmlands and woods until it joins the Juniata River near Huntingdon. Its cool, spring-fed waters and alkaline PH combine to make this stream an ideal ecosystem for wild trout. Indeed, few streams east of the Rockies can compare to the “Little J.” Its long stretches of “no kill” regulations, remote location, aesthetic beauty, prolific hatches, and sizeable population of big browns with broad shoulders have made this stream the destination of many anglers. Because the stream is easily waded, it provides excellent opportunities for beginning fly fishers who love to fish for wild brown trout. At Spruce Creek Outfitters our vast experience fishing the “Little J” makes us the perfect guiding service. When you fish with us, you fish with a team that literally lives on the river and thus knows it inside and out. Because of our “no-kill” regulations, you will have a good opportunity to catch large fish.